Twisp is a mountain community of workers relying on their hands and the natural resources around them, and has been since it was founded in 1897. The entire Methow Valley is full of people creating new things, both out of necessity and inspiration. When the historic Forest Service headquarters was decommissioned in 2002, the Twisp neighborhood had strong ideas about what should be done with the building vacant. They wanted to honor the site’s past and its significance to local history and industry, but use the space for a new project that will help Twisp look forward. After applying for grants to renovate the historic Forest Service buildings, the first four partners in the TwispWorks co-op sign on in 2011. Currently, the TwispWorks compound is home to 25 partners, including ten local artists: four fabric artists, two metal workers, a painter, a silversmith, a stone carver, and a woodworker. Enthusiasm to be involved in this project has increased dramatically, and there is a waiting list for tenants. As more buildings on the campus become available, they are quickly filled. The Methow Valley winters are consistently freezing, and all heated and insulated space is currently in use. Many of the creative professionals were instrumental in making this [Methow Made] campaign a reality. We had a finite amount of funding from the development grant, and they worked twice as much time than we could pay them for – which means we got an amazing campaign without an amazing budget. Everyone contributes their special talent, and the result is more than you could possibly achieve if you were all acting alone. 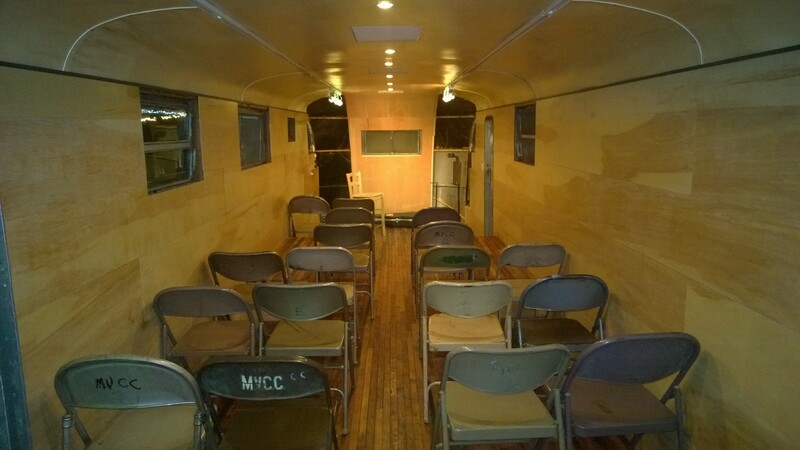 The Spartan Art Project is a 1950’s trailer that functions as a performance space and a mobile art gallery. An EQPD infographic shows how much of their budget is reinvested in the local community. Read about the historic US Forest Service site that TwispWorks uses as headquarters. This entry was posted in Exploring our World, Music and Art and tagged Amy Stork, EQPD, Jonathan Baker, Methow Made, Methow Valley, Okanogan County, Spartan Art Project, TwispWorks, US Forest Service, Washington State. Bookmark the permalink.